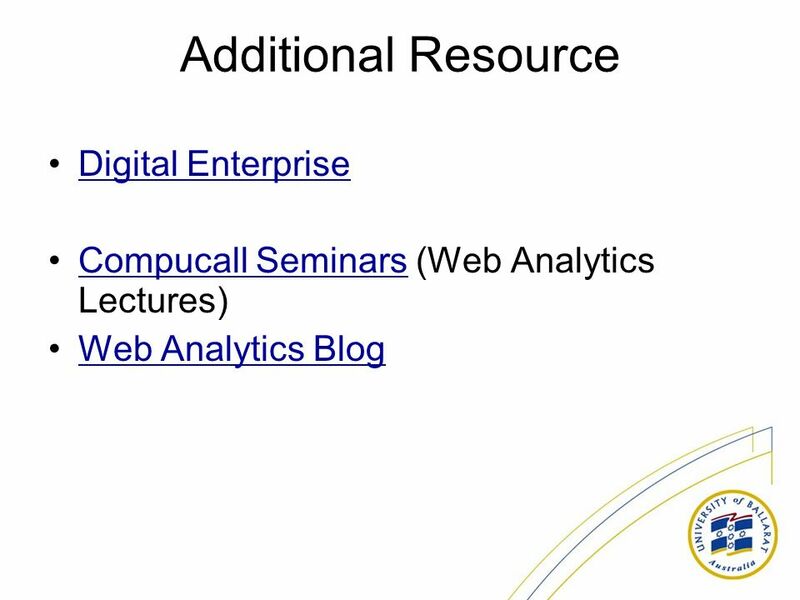 Week 3 Web Analytics and Business Models. 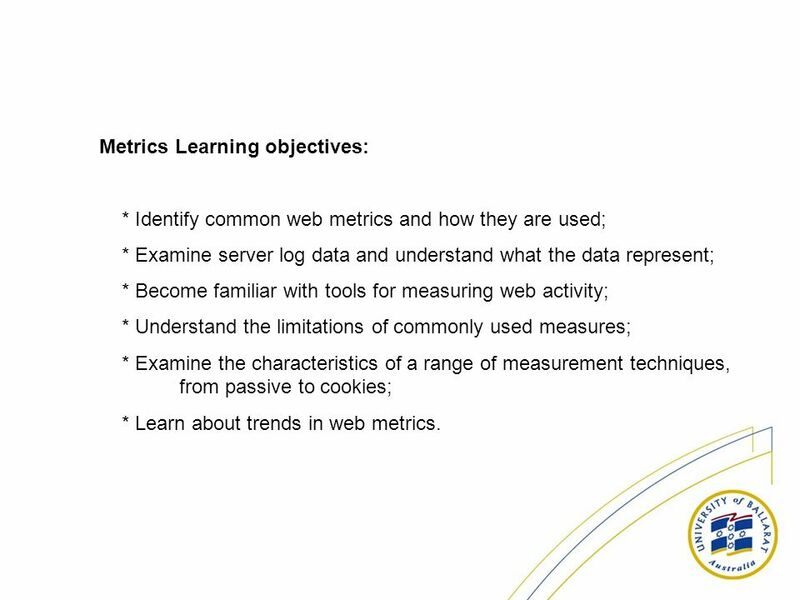 Metrics Learning objectives: * Identify common web metrics and how they are used; * Examine server log data. 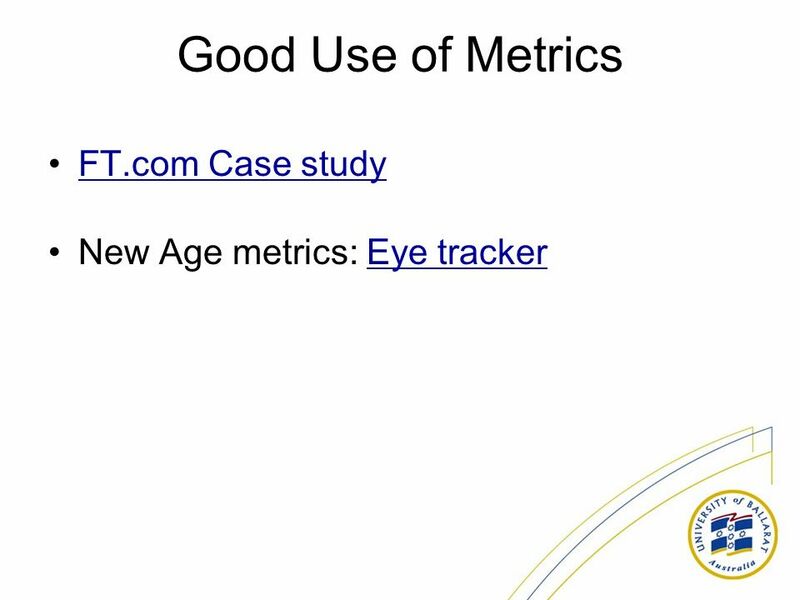 2 Metrics Learning objectives: * Identify common web metrics and how they are used; * Examine server log data and understand what the data represent; * Become familiar with tools for measuring web activity; * Understand the limitations of commonly used measures; * Examine the characteristics of a range of measurement techniques, from passive to cookies; * Learn about trends in web metrics. 3 Everything that occurs in a digital transaction can be recorded in server logs and databases. 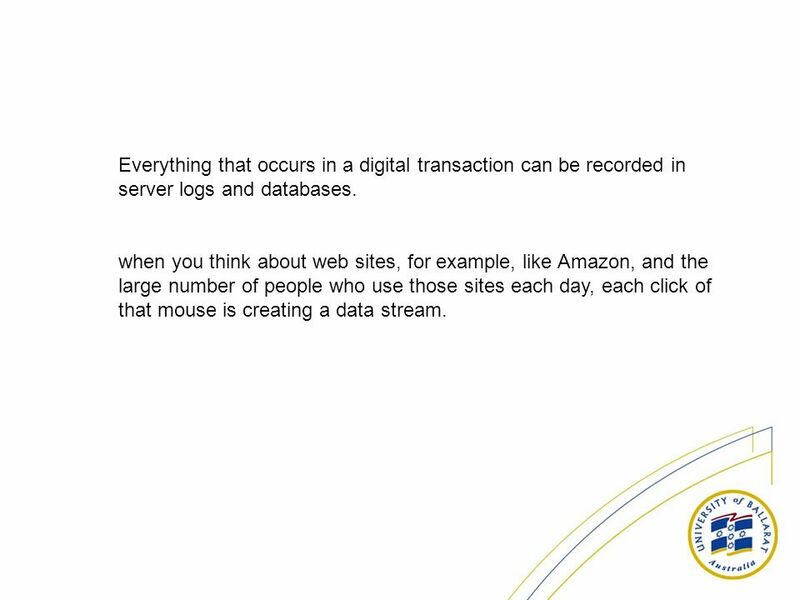 when you think about web sites, for example, like Amazon, and the large number of people who use those sites each day, each click of that mouse is creating a data stream. 6 What is needed? Keep in mind that information is only useful if it pertains to decisions that need to be made. 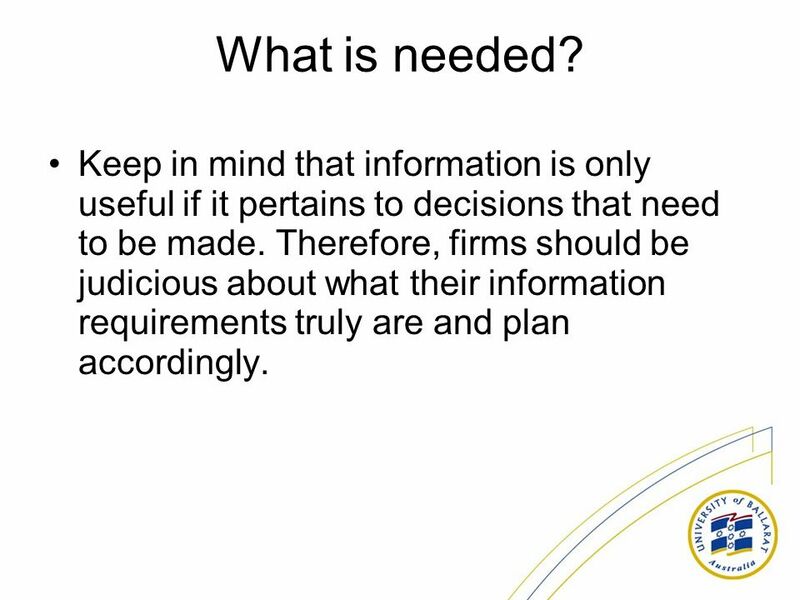 Therefore, firms should be judicious about what their information requirements truly are and plan accordingly. 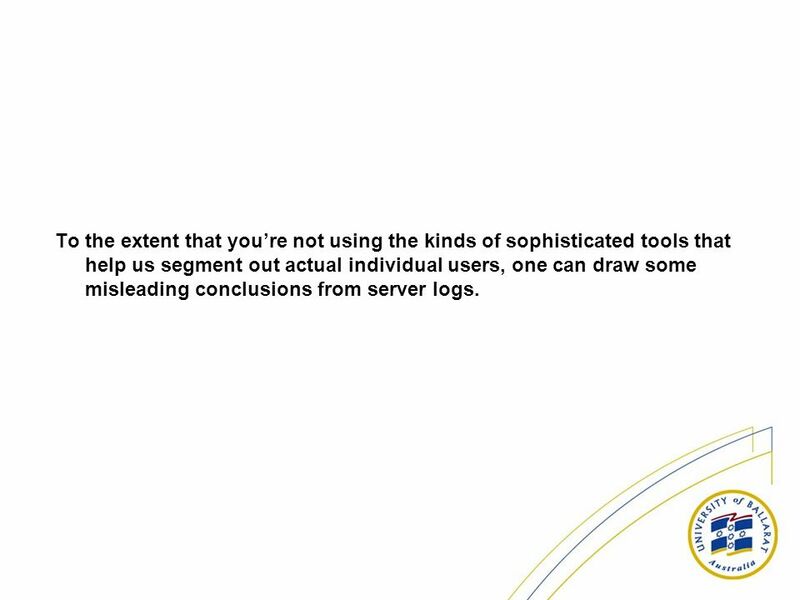 10 To the extent that youre not using the kinds of sophisticated tools that help us segment out actual individual users, one can draw some misleading conclusions from server logs. 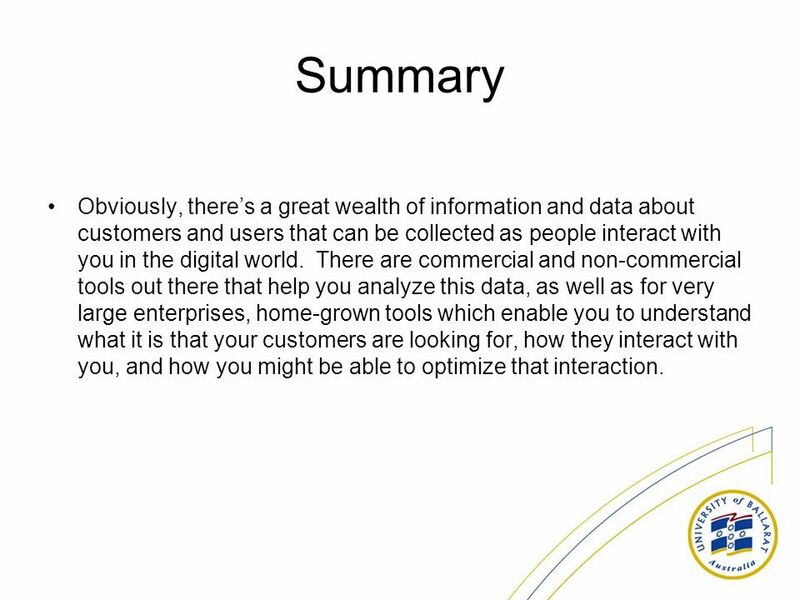 11 Summary Obviously, theres a great wealth of information and data about customers and users that can be collected as people interact with you in the digital world. 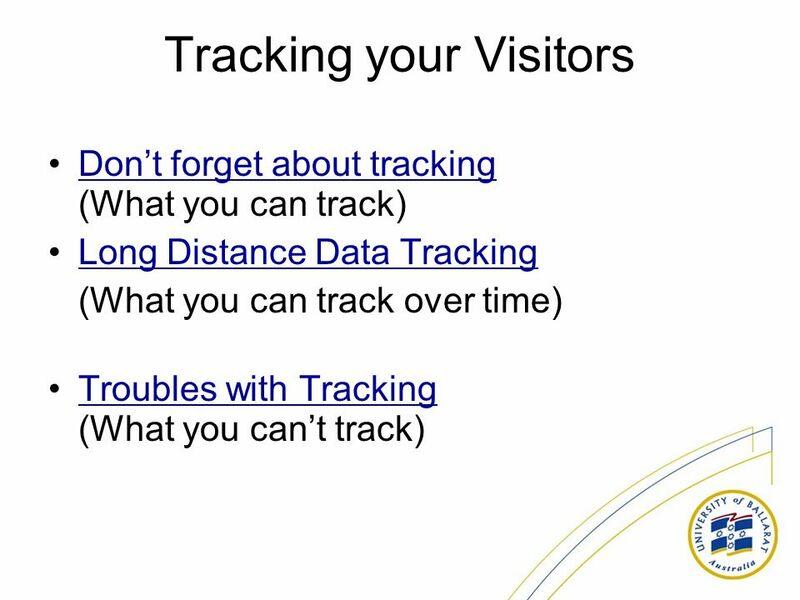 There are commercial and non-commercial tools out there that help you analyze this data, as well as for very large enterprises, home-grown tools which enable you to understand what it is that your customers are looking for, how they interact with you, and how you might be able to optimize that interaction. 12 Clearly the most sophisticated digital enterprises are moving along quite quickly to do just precisely that. 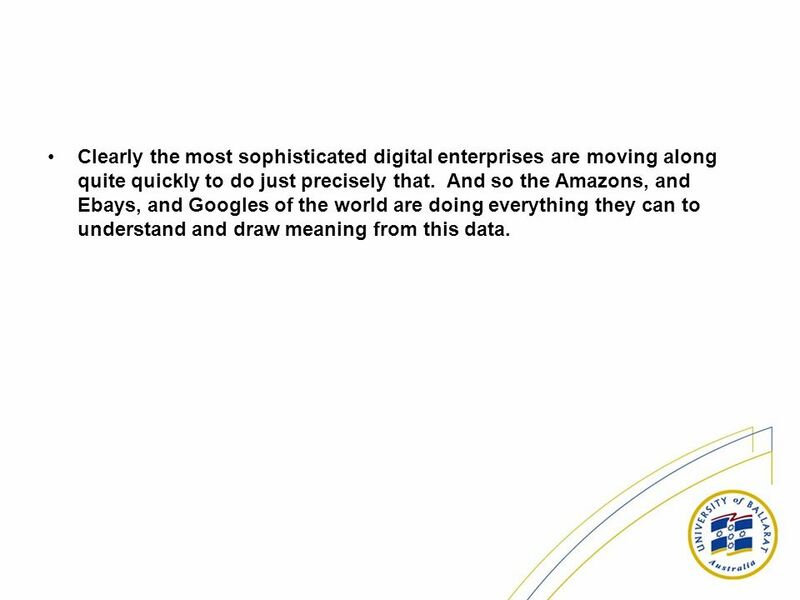 And so the Amazons, and Ebays, and Googles of the world are doing everything they can to understand and draw meaning from this data. 13 In the future, the challenge will be – too much data, too much information, a fairly high noise to signal ratio. 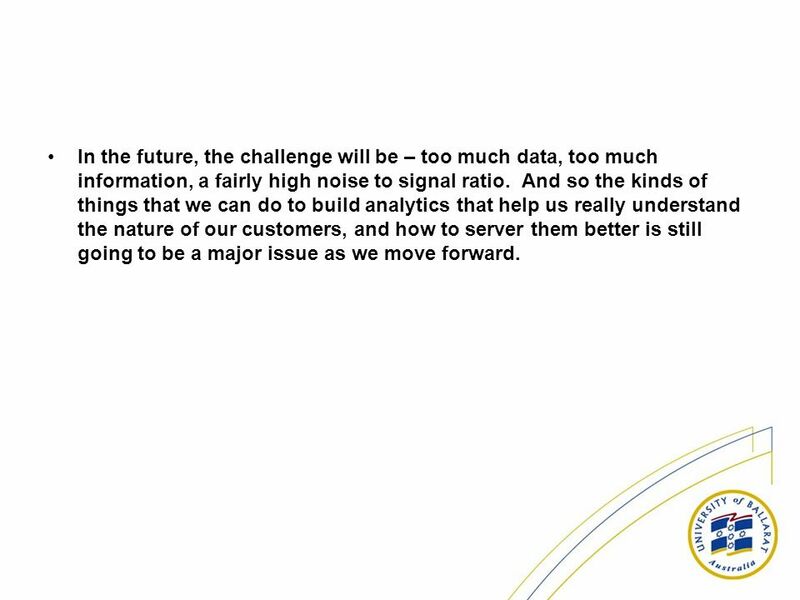 And so the kinds of things that we can do to build analytics that help us really understand the nature of our customers, and how to server them better is still going to be a major issue as we move forward. 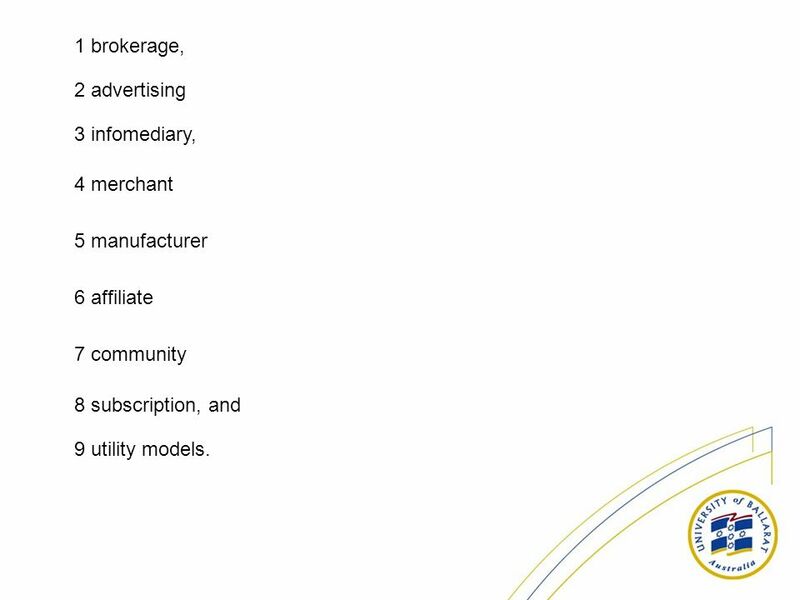 16 1 brokerage, 2 advertising 3 infomediary, 4 merchant 5 manufacturer 6 affiliate 7 community 8 subscription, and 9 utility models. 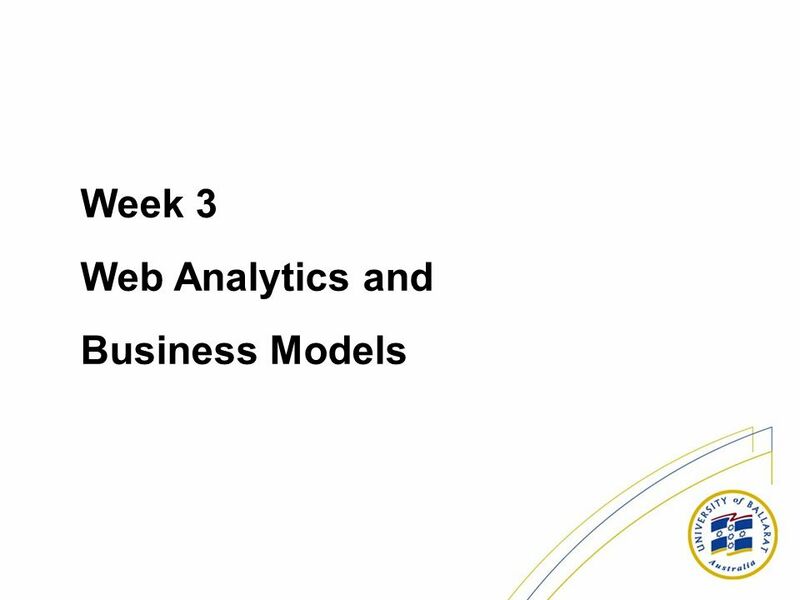 Download ppt "Week 3 Web Analytics and Business Models. 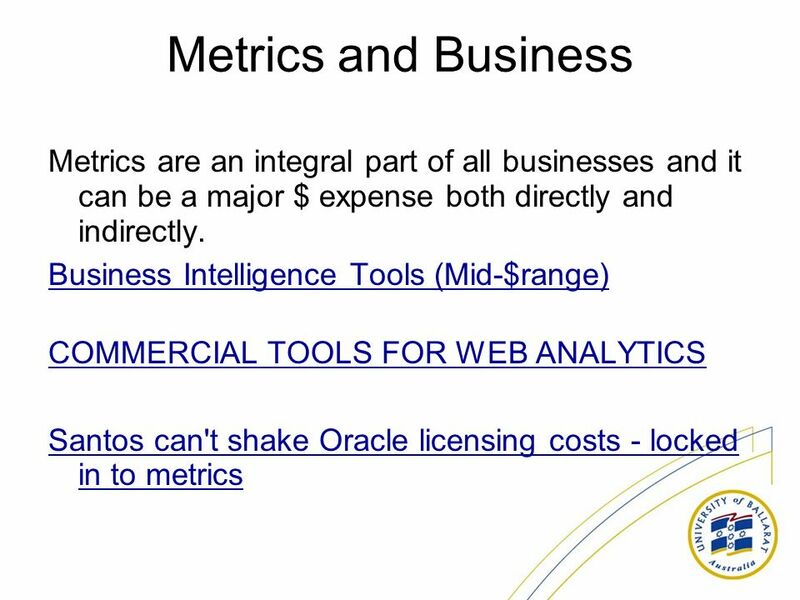 Metrics Learning objectives: * Identify common web metrics and how they are used; * Examine server log data." 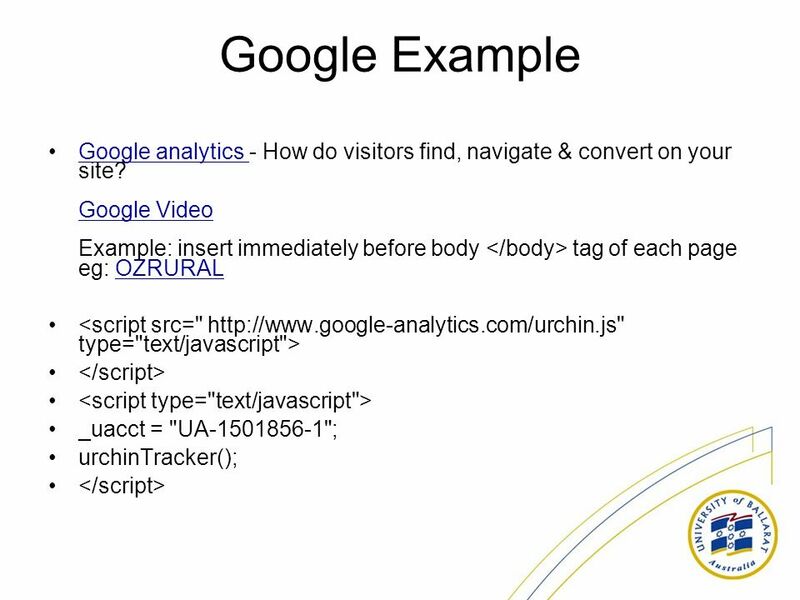 Advanced Web Metrics with Google Analytics By: Carley Brown. Digital Marketing Analytics v10. Introduction  Name / job role  What company are you with  How much experience do you have using Webtrends  Create. 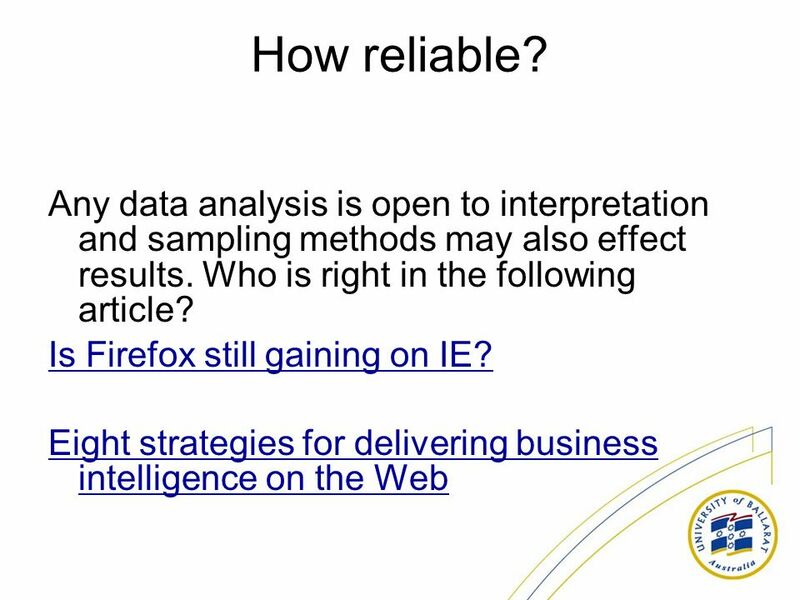 CNStats © 2008 State of the art solution for recording and analyzing site attendance statistics Why Choosing CNStats ? 1. Formulating Strategy to Fill Identified Needs 2. Segmentation and Positioning MARK 430 WEEK 4. 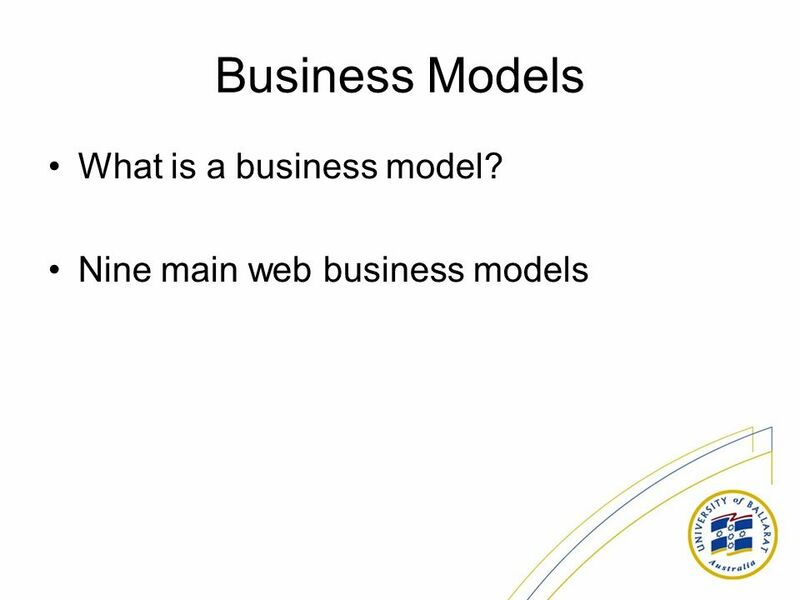 1 Dr. Michael D. Featherstone Introduction to e-Commerce Web Business Models. Measuring and Monitoring Social Media Presence Measuring and Monitoring Social Media Presence Rim Dakelbab. Web 2.0 Testing and Marketing E-engagement capacity enhancement for NGOs HKU ExCEL3. Day 3 ELC 310. Copyright 2005 Prentice HallCh 1 -2 Agenda Questions? Assignment one will be posted sometime this week. 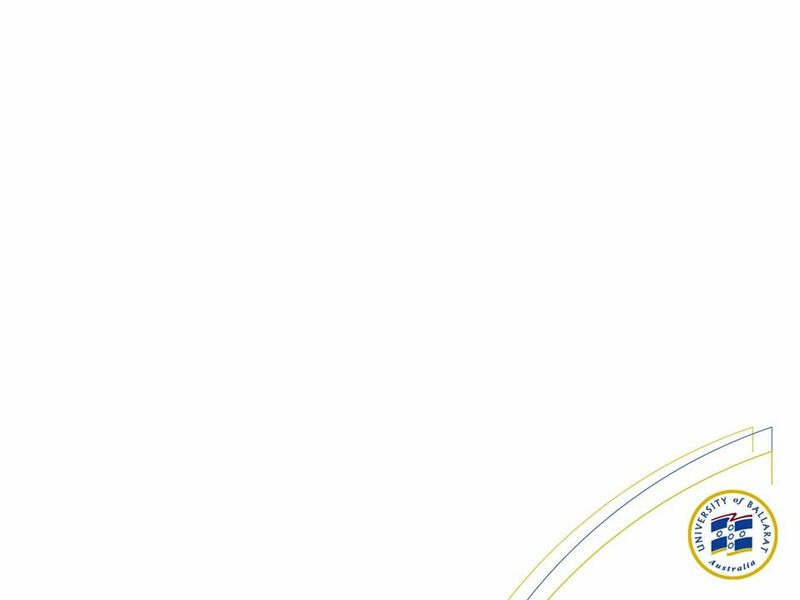 Strategic E-Marketing and Performance. Marketing Your Web Site Increase Your Web Traffic As Designer 4 You creates your website a key component in that design is to create a results oriented. Cisco Public © 2010 Cisco and/or its affiliates. All rights reserved. 1 Social Media Top Tasks In partnership with customercarewords.com Cisco Global Social.